Was there a tipping point? When had this all started? This uncomfortable sensation in my gut. This nagging thing rolling around inside my head. It had all been brewing for a while, bubbling a little below the surface. But what was that defining moment? The straw that broke the camel’s back, that pushed all of it up? I look forward to hearing from you. Please feel free to contact me if you. Yeah…that was the tipping point. So I responded back. My image is not free for use. I can send you an invoice for usage if the [The Publisher] is interested. Apparently, they were fine with me invoicing them so I responded. Given the current cost of your textbook of is well over $200 for an undergraduate, I don’t believe I can support the use of my image in your textbook. The only way I will allow usage of the image is if the company agrees to donate 30 free textbooks to the Louisiana College or University of my choice. From this, I received this response. I passed your request to the Development and Managing Editors and after some consideration [The Publisher] is electing to decline the request. We appreciate your response and will search for a replacement image to be included in the book. Here’s the thing. How can I support a textbook that students will need $214 dollars to buy? I cannot. Not as a scientist committed to the tenet that information should be available to all, an educator who believes education is a right not a privilege, a mentor who needs to remove barriers for my students, and lastly someone who came from a lower socioeconomic family, struggled to purchase textbooks, and is now committed to reaching back and pulling others up. I. CAN. NOT. Even more, the landscape of Louisiana represents one of considerable struggle. The poverty rate in Louisiana’s poverty rate is 19.6%, well above the national average of 12.4%. Child poverty nationally is 21.9% while in Louisiana’s is a shocking 27.8%. Twenty-four of Louisiana’s parishes are considered persistent poverty parishes with more than 20% of the population falling below the poverty line consistently since 1970. Thirty-two parishes are classified as black high poverty areas. These poverty rates place Louisiana number one among the 50 states in both poverty and child poverty levels (WorldAtlas.com 2016). The ramifications of this poverty are seen in higher education in Louisiana. The adult population with a bachelor’s degree or more nationally is 32.5% while in Louisiana is 14.7% and among African Americans, the national average is 14.7% compared to the 13.4% in the state. All of this has occurred on a backdrop of textbook prices rising almost 1000% in recent years — more than three times the rate of inflation (Bureau of Labor Statistics). And instead of the publishers admitting there is a problem, they deflect. Marisa Bluestone, spokeswoman for the the Association of American Publishers, called the BLS data “misleading” because of the “law of small numbers” where a small item that increases from $100 to $200 will appear as a 100 percent increase whereas if tuition increases from $10,000 to $11,000 it’s only a 10 percent increase. Further, the BLS data is “not the reality today” added Laura Massie, spokeswoman for the National Association of College Stores (NACS), as it doesn’t count buying used books or renting. The prices for academic institutions to access the scientific literature has also gotten out of hand. Despite scientists volunteering to both serve as editors and reviewers for journals and often paying to publish in these journals, many for-profit publishing companies continue to rake in profits while choking out access to the very scientists and scientific institutions they expect to volunteer and read their publications. Last week the marine lab (the Louisiana Universities Marine Consortium, LUMCON, where I serve as Executive Director) received the notification for renewal for a major journal, now published by a for-profit publisher. The cost for the publication next year is $9,545. The average inflation rate since we first subscribed to this title (starting in FY2010) is just over 20% annually. The number of issues has not changed (12 per year), nor has the size of the issues in terms of pagination, so it’s not a matter of getting more for the money. Another way of looking at it is that one journal subscription would have eaten up 25% of the journals budget that we allow for LUMCON’s small library. It is hard to justify spending $10,000 a year for a single subscription for less than a dozen faculty. So a couple of weeks ago, LUMCON made a bold move. We canceled all of our paid journal subscriptions. Every. Single. One. Of. Them. These funds will remain with our library, reinvested into other initiatives. We have set aside some of these funds to purchase hard volumes without electronic versions, pay for singly purchased articles from the canceled journals, investing heavily in LUMCON faculty to publish in Not-For-Profit, Open Access Publishers, new library printers, and variety of other smaller library upgrades. Needless to say, the amount LUMCON spent on journal subscriptions was considerable and freeing up those funds is actually allowing us to be able to provide BETTER support to our scientific teams. You read that right. I feel that even though we are losing journal access and the burden on the faculty and librarian to find needed articles may be higher, the funds that LUMCON now has available to invest in other library projects will provide a greater depth and variety of support for scientists and students at LUMCON. Our journal access simply prevented us from affording these programs and infrastructure before. I am in a position of leadership and have an amazing, supportive, and forward-thinking faculty to work with. We are able to accomplish things that may not be possible in a larger university system. So what can you do? I am going to take a hard stance but here we go. Do not require textbooks for your courses. Provide other materials and make them freely available to your students. If you absolutely need to use a textbook, teach out of older editions. Provide in your syllabus a variety of links where that textbook can be purchased at a reduced fee. If you ever come across a good deal on that textbook, purchase it yourself. Give or loan the book to your students in need. Work with your university and state on ebook programs that purchase electronic rights to textbooks that are made freely available to your students. 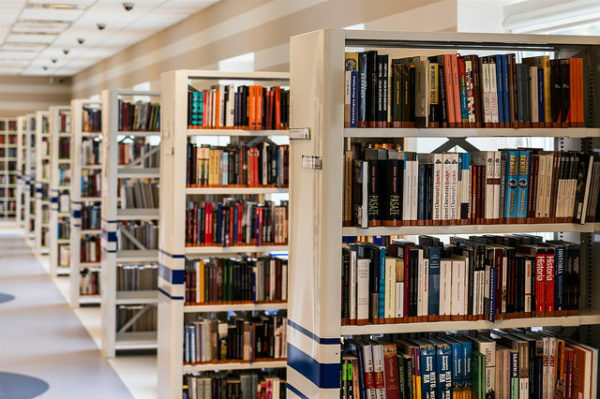 Through your departmental and university committees, and your faculty senate, start working with your university (or putting pressure on them) to replace the antiquated and overpriced book model at your institution. Do not serve as editor, reviewer, or author of a paper in a for-profit journal. Support the innovative models you want to see. I recognize the commitment will be dependent on your career stage. But you the senior faculty need to step up to the plate and be an example. Create safe places for junior faculty to be able to pursue this. Change evaluation policies for faculty that reward open science models and decrease value on publishing in and with for-profit journals and publishing houses. Do not grant interviews to journalists that work for these for-profit publishing houses and/or limit access to the materials behind a paywall. If we believe that scientific information should be available to all, then the public discussion and public translation of that work should also be freely available. Educate yourself on open-access publishing standards. Here is a directory of all open-access journals. Read about the difference between gold, green, and even copper open access standards. Lastly, make sure you retain copyright over all your own work and make sure it is available for free on the web. I have been woefully poor on this front. But as of today and moving forward, I will be posting all my preprints on https://arxiv.org/. I will research all of the copyright and sharing restrictions on all of my published articles and try to find solutions in making them all more available. I realized that this is a tremendous amount of burden on all us all. Indeed, many times in science what is for the benefit of the scientific community is not for the benefit of the individual scientist. These are big standards to follow, and depending on your career stage, opportunity, current funding, etc., you may not be able to follow all of these or follow them all of the time. This does not make you a bad person or scientist. But with all of trying to make small decisions in the right direction, working toward this goal, we will move the field in total to the right place.